Located in Gatwick's business district, this brand new building is sophisticatedly decorated and modernly designed. Provided with parking facilities, state-of-the-art technology, fully equipped conference rooms and spacious meeting rooms, this building benefits from high standard support services and offers a professional working environment. It has direct access to Gatwick Airport and enjoys direct connections to London. This business centre is situated in a convenient and accessible location in the heart of the South East. 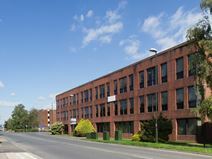 This is a light and comfortable business environment, with excellent transport links nearby.Accessible 24-hours a day, the space offers fantastic on-site amenities including kitchen facilities, IT support, administrative support, meeting rooms and parking spaces for those arriving by car, including visitors. Available immediately are various serviced office spaces in these two buildings. This prestigious development is set in a pleasant landscaped area in a prominent location on Gatwick Road, offering easy access to the airport, M23 and M25. Offices available at this Manor Royal range from 200 - 1,000 sq. ft., and are ideally situated just two miles from Gatwick Airport, in the heart of a vibrant business district. Free parking and on-site storage available if required. This centre is in the immediate area surrounding Gatwick Airport, so international travel is right on your doorstep. There are places to eat within walking distance, in addition to the on-site cafe. The space can be accessed by tenants 24-hours a day, and there is access to kitchen facilities as well as the bonus of an office cleaning team. Transport links are good, with Crawley railway Station a couple of miles away. This business centre offers a massive office space consisting of offices, open-plan spaces, studios, workshops and other working space solutions which can be tailored to suit your needs. Easily accessible and served by numerous transport links, this business centre is surrounded by restaurants, shops and a variety of amenities. 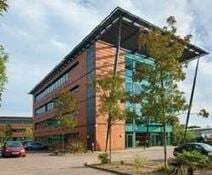 With quick access to Gatwick Airport and the centre of Crawley, this business centre provides modern air conditioned rooms with 24/7 swipe card access for convenience. The building is close to the Gatwick Express train station, offering a direct rail link to London and Brighton. Crawley Town Centre offers a range of places to eat and drink, as well as shopping options including well-known high street brands. This two-storey building offers work space that has been recently refurbished to a high-quality standard. There is 24-hour access for tenants and an on-site management team providing mail-handling, administrative support and customer service. The centre offers high-speed WiFi, conferencing facilities, fully equipped meeting rooms, lounge areas and a kitchen. Bus stops right outside the front door and ample parking ensure that this centre is easily accessible and well-connected. 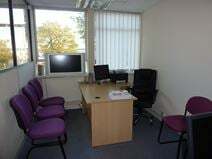 A wide range of office spaces is available to let in this business centre, close to Crawley centre and Gatwick Airport. Available in various sizes, from small offices to open-plan office spaces, we can offer you the perfect solution to your needs. This business centre offers a professional environment in a convenient location, close to the motorway network and the railway station. This modern building, recently refurbished to a high standard, offers office spaces available on flexible rental terms. Sophisticatedly decorated and modernly designed, these stylish offices offer a professional and elegant atmosphere and benefit from a full range of services provided by a friendly support team. Close to Gatwick Airport and well connected to London, this building is just a few minutes’ away from Crawley city centre and is surrounded by shops, markets, restaurants, banks and numerous other companies. Situated conveniently close to the M23 and M25 Motorways and Gatwick airport, this serviced office centre provides a mixture of office space and storage solutions on flexible terms to suit your business requirements. Just off London, this historical building offers offices and meeting rooms on flexible rental terms. Provided with car parking, a professional support team, these office spaces represent a convenient solutions for small companies and entrepreneurs. The building benefits from excellent connections to central London and the south of England.